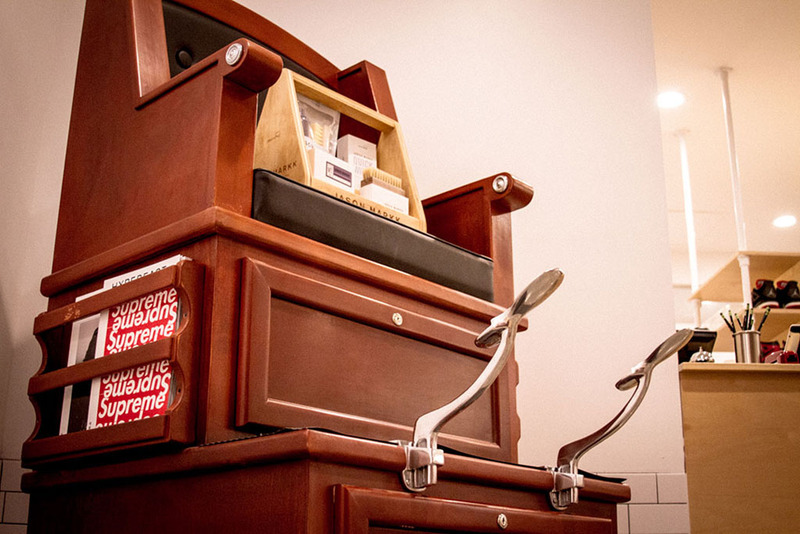 This week, premium shoe care manufacturer Jason Markk opens their first flagship retail location in Los Angeles. "I wanted to provide a destination where I could introduce the brand to a broader audience,” says Jason Angsuvarn, owner and founder. "The ability to have a platform where one could be immersed in the Jason Markk brand via all of the senses, sight, smell, sound, and feel was extremely exciting to me and this space offers the opportunity to achieve that." 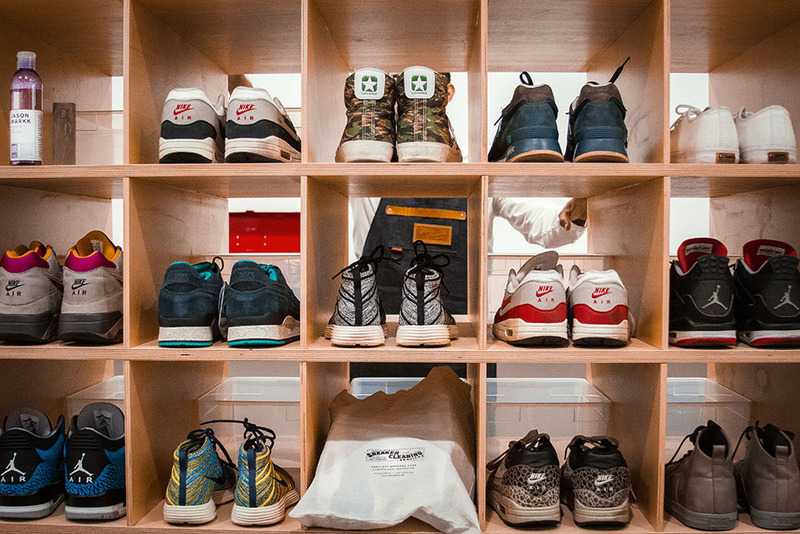 In addition to their world famous line of cleaning products, Jason Markk is introducing a drop-off sneaker care service, which they describe as dry cleaning for sneakers. 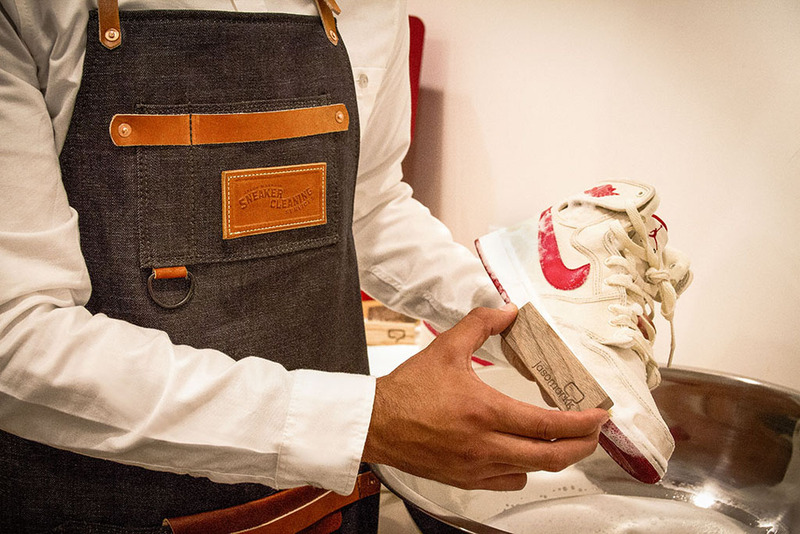 On-site seven days a week, Jason Markk’s Sneaker Care Technicians (SCTs) will breathe life back into your dirty sneakers. Blending a modern aesthetic with touches of industrial design, the interior reflects the Jason Markk's handcrafted approach and aspirational nature. All counters and cabinetry were custom made for the Jason Markk project. The state of the art audio and visual system sets the mood in the space along with Apple iPads to help educate the customer on products and usage. The store will also be a platform to introduce exclusive projects and to act as a concept space offering influencer-driven events each month. The space was designed by Heads Above Water, a multifaceted design studio based in Los Angeles, California. Now in its seventh year of business, Jason Markk will once again raise the bar in sneaker care with a first-of-its-kind service model. The Grand Opening is set for Saturday, May 31. Store hours are Monday - Saturday 11 a.m. - 7:00 p.m. PST; Sunday 12:00 p.m. - 6:00 p.m. PST. More information at jasonmarkk.com.